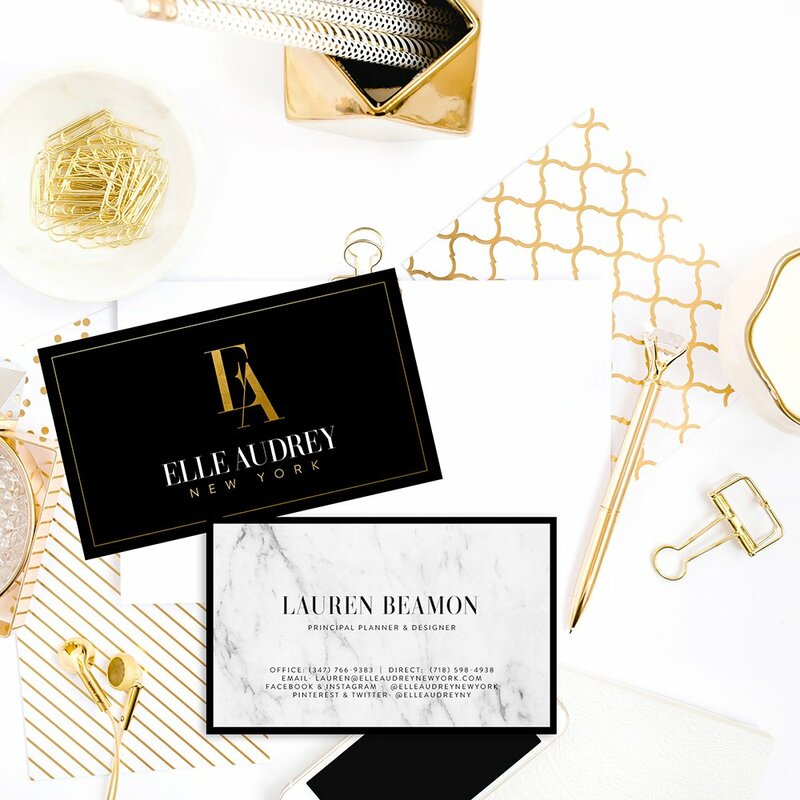 Lauren Beamon started Elle’s Couture Events in 2010, a chic, stylish, and modern wedding and event planning design firm serving fabulous clients in New York, NY and beyond. 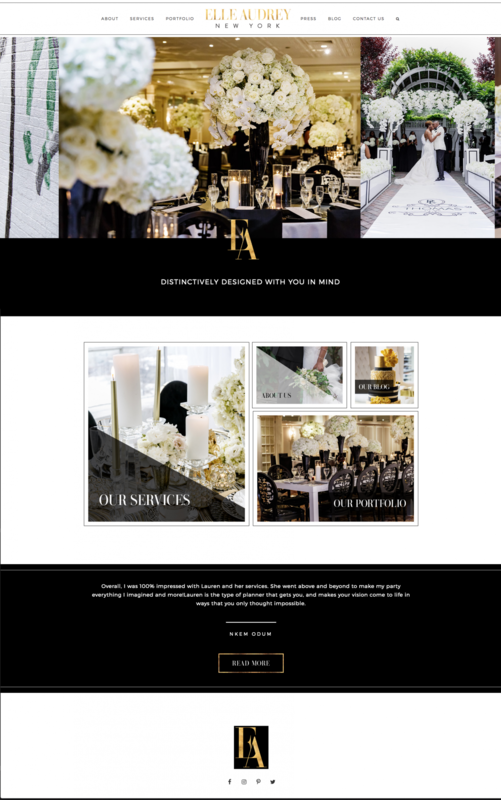 The company plans picture perfect weddings and events for chic modern couples looking for a unique experience for themselves and their guests. 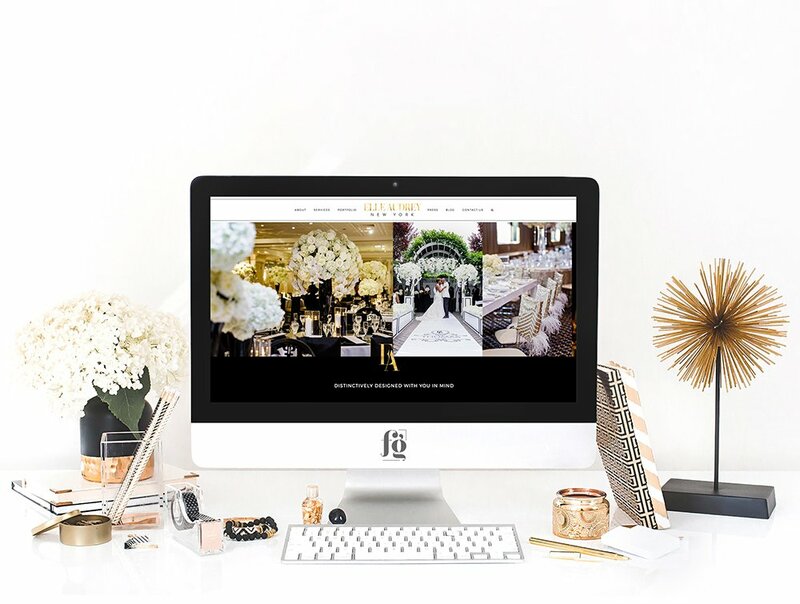 Throughout their 7 years in business, their work has been featured in several publications and top wedding blogs. 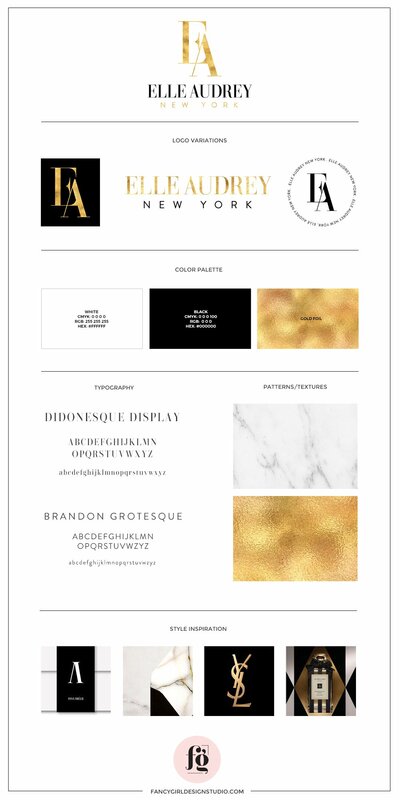 Recently, she decided that a major rebranding was in order, and decided to change the name to Elle Audrey New York, as an ode to her grandmother, whom she credits for her love of parties and decorating . 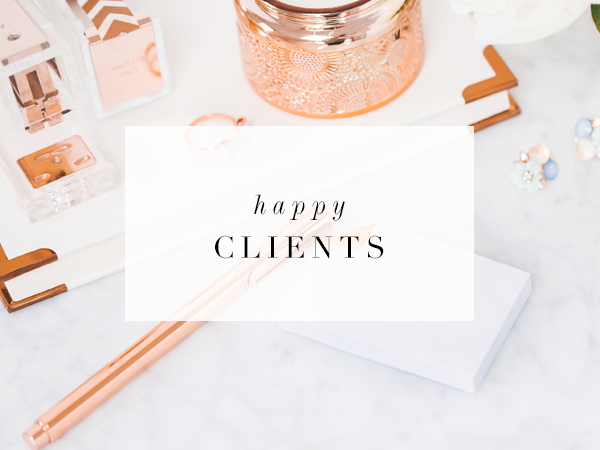 She approached me early this year for help with her new logo and website, and I couldn’t have been more excited! 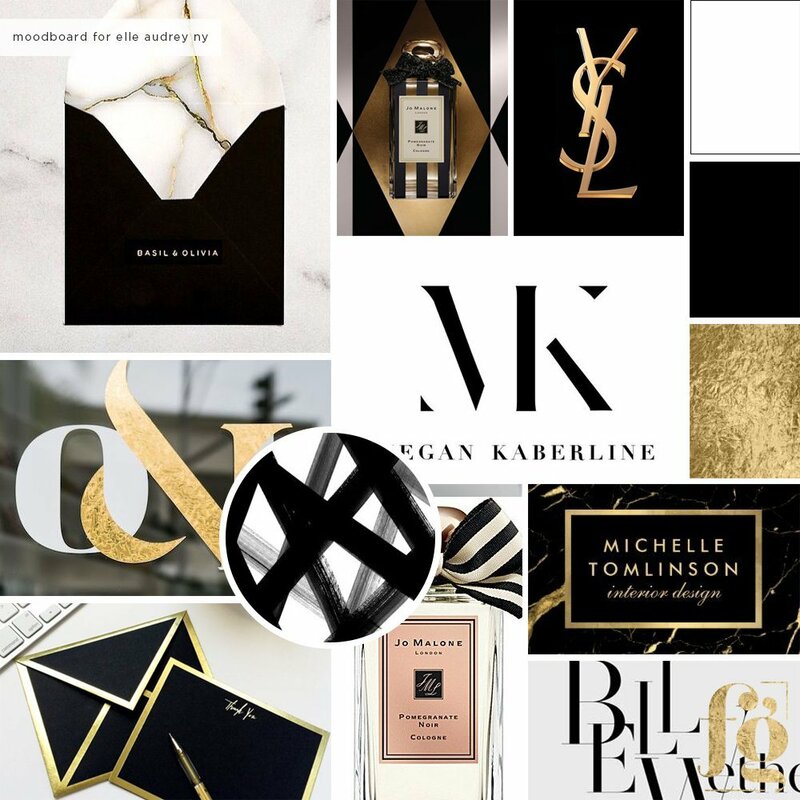 Lauren knew exactly what she wanted: a sophisticated brand identity design in black, white, and gold. I was in love with her Pinterest board! Lauren is a woman of impeccable style, and it shows in everything she touches. This was the first time I had logo envy on any of my client work. Lauren wanted a monogram in a sophisticated serif. 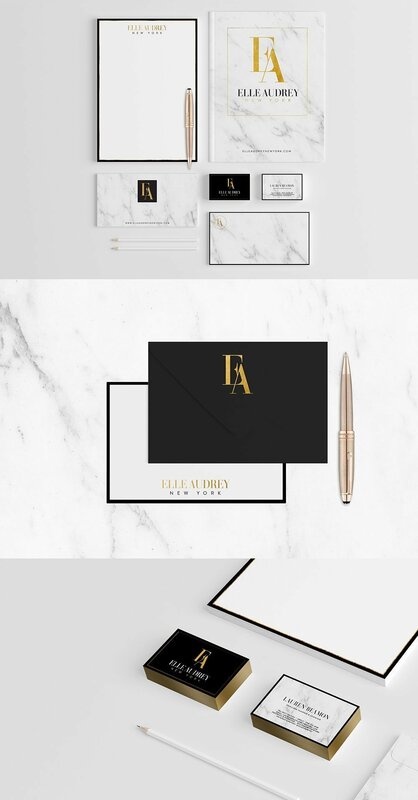 She wanted to make sure the logo would be classic and glamorous, without being overly feminine. I was so happy when she approved the initial design right away, because I was already in love with it myself. On hindsight, I think it was really easy to design for her because she communicated herself really well, and knew exactly what she wanted. 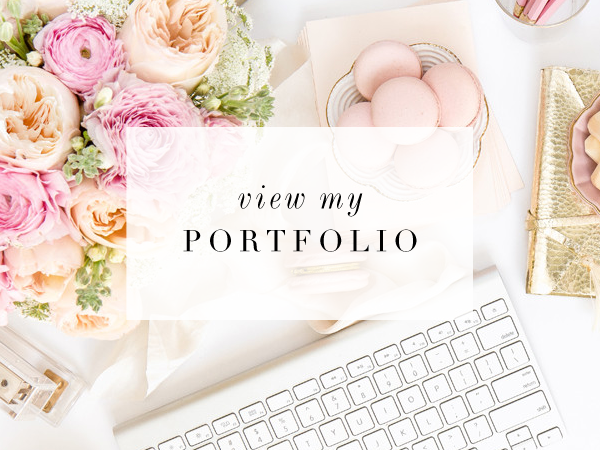 Lauren wanted to showcase photos of different widths for her homepage slider, so I used a carousel that looped horizontally, showing all her photos in an unbroken stream, instead of one by one. Here is the entire screenshot of her homepage, showing all the different sections. Another page I wanted to highlight is the Services page, which is inspired by the homepage, with different sections, all full-width. Lauren helped pick out the photos used here, and her choices were just perfect. So it’s happened!!! We are officially Elle Audrey New York and I am beyond excited to share the good news!! My darling, my sweet @patfancygirl .. The words thank you are not nearly enough. You are my fairy god mother of design… pure genius. 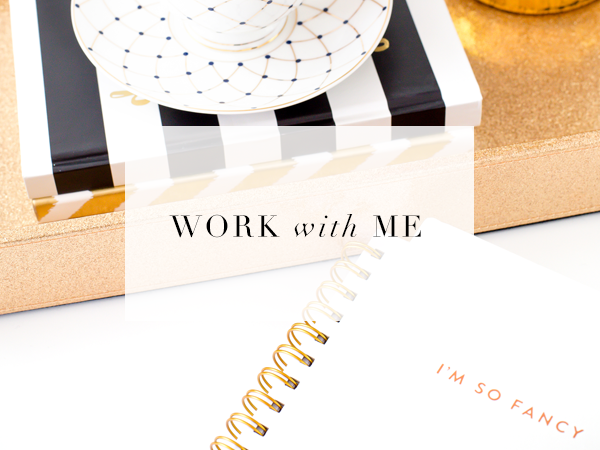 You’ve graced me with your fairy dust.. my team and I are so excited about our new chapter and we have you to thank! !